This sterling silver piece is where sophistication and whimsy meet. The focal center is made with oodles of beautiful pearls of whites and mauves. Very attractive and lightweight to wear. 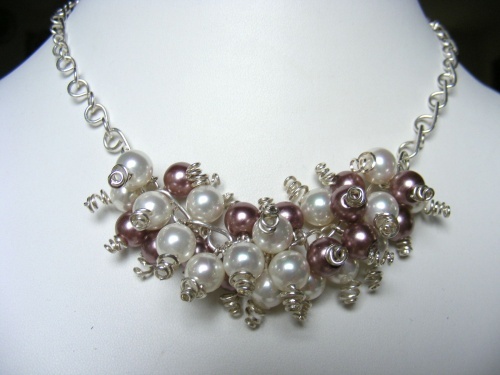 Length of this piece measures 17" but can be made of different lengths. The pearl clasp is a box clasp for safety.